Expro's EdgeX is a Windows-based acquisition and management system. 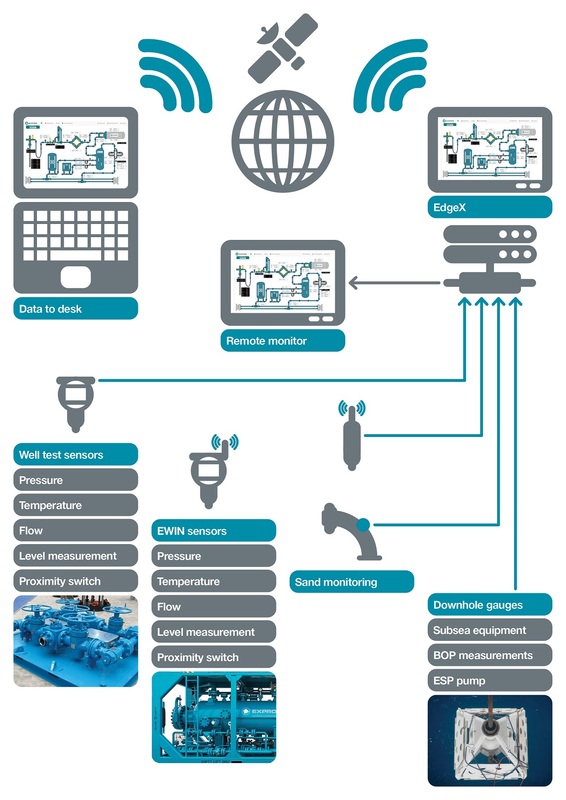 It provides data solutions for a wide-range of applications including well testing, extended production tests and platform process plant monitoring. The extensive multitasking capabilities of EdgeX allow it to incorporate data from a multitude of sources using various communication protocols. This includes surface instrumentation, other Expro services (WWS, DST, Subsea, etc), and third party equipment. EdgeX is a total data solution which, combined with 'data to desk', provides clients with data whenever and wherever they need it. EdgeX incorporates data to desk functionality. This service provides the client with the full suite of tools necessary to view real-time data through a web browser anywhere in the world. The web browser allows the client access to all data logs and sequence of events obtained in the field. To view this information standard graphical user interfaces are available for trending and live monitoring.